Price reduced Again! 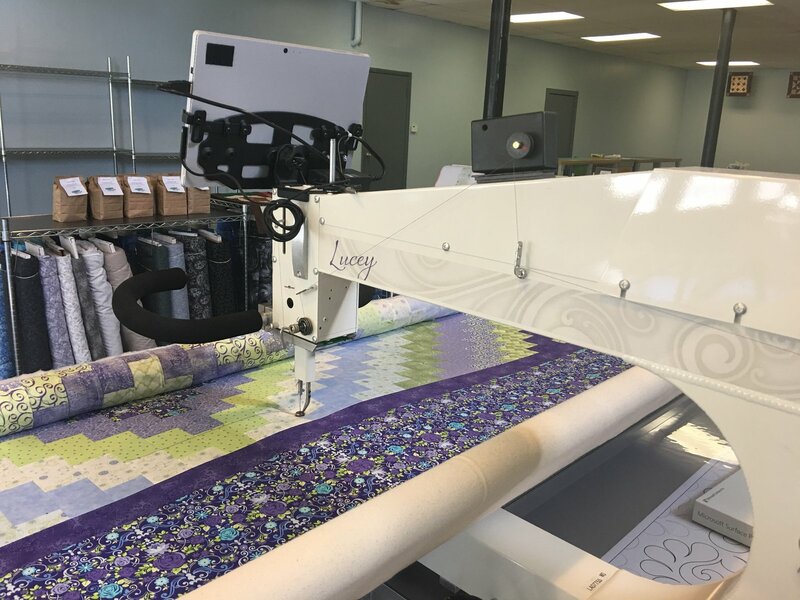 2016 APQS LUCEY WITH QUILT PATH ASKING $20,000. Reduced asking price $17,500. 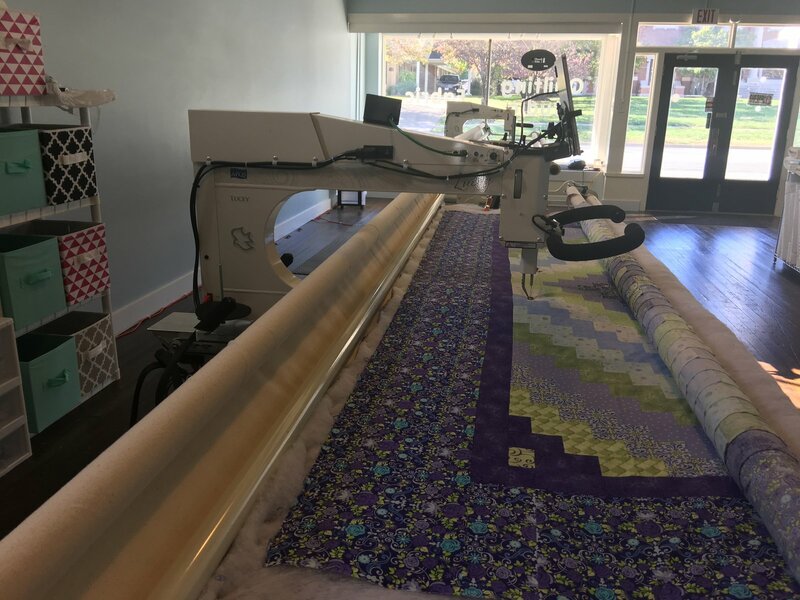 2016 Lucey with a 12ft Bliss Standard Table with Quilt Path. 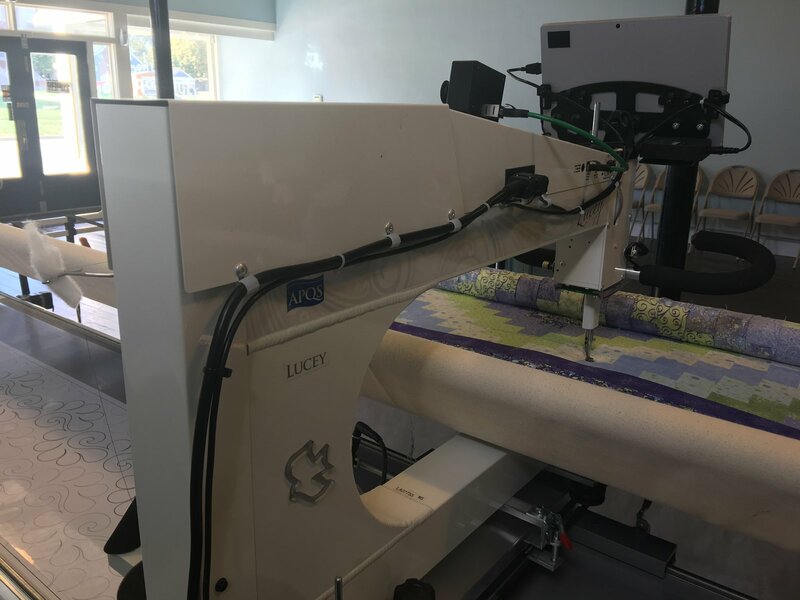 It has been lightly used, less than 25 quilts have been finished on this machine. Also includes the Hartley Base and turbo bobbin winder. Purchaser is responsible for disassembling machine, pick up, transportation, re-assembly and all other associated costs. Located in Illinois. Asking $20,000. Price has now been reduced to $17,500. 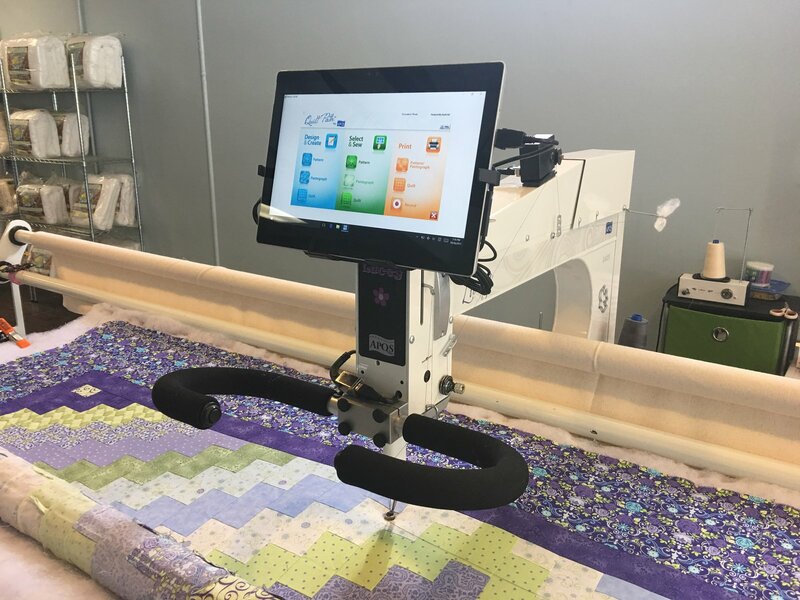 I love this machine, but I need to sell it. Where in Ill are you located? Has this been sold? 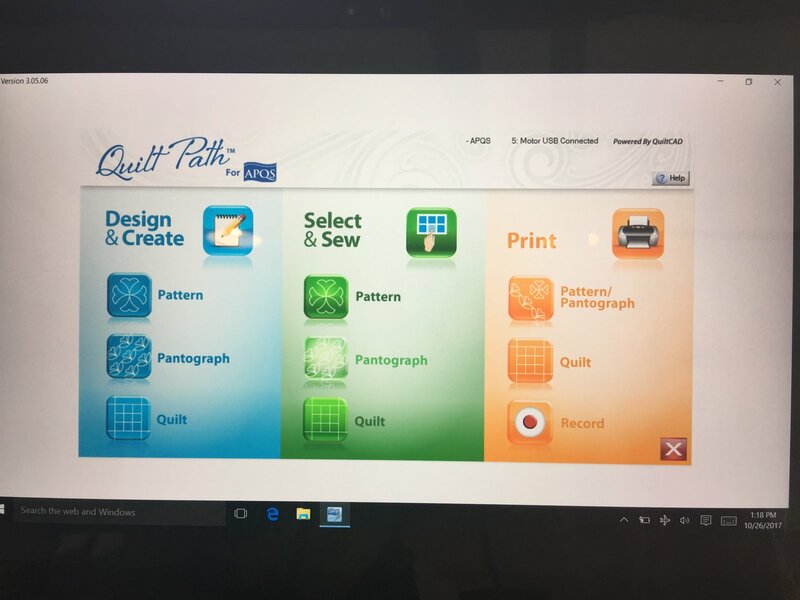 If not, would you be willing to sell the Quilt Path separately? Still interested, but location in Illinois makes a big difference in transportation costs... just wondering if you would disclose if it is Southern Illinois? Northern Illinois, etc.? How long and wide is this when it is disassembled? Also, how difficult is it to take apart and reassemble? 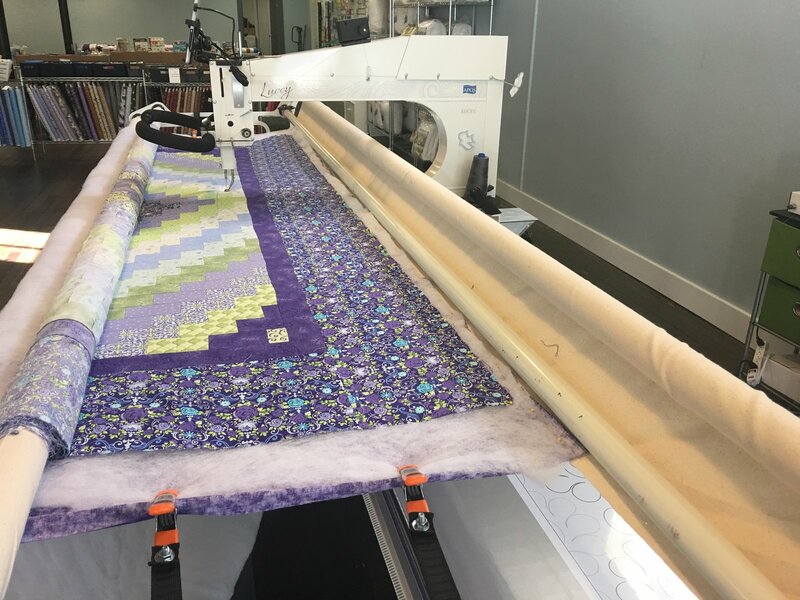 What is the width of quilting area? 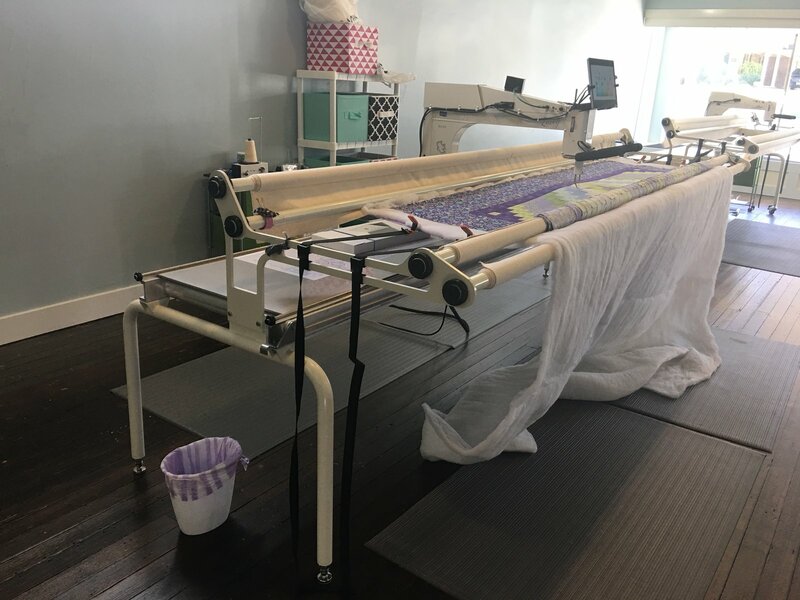 The rollers are 12' long poles, and the table is 12' long. The legs measure approx.52"wide by 46" tall at the biggest part. the machine head measures approx. 36"wide by 25" tall. It is put together with bolts and nuts, there are 8 bolts that hold it together. the main thing is it takes at least 2 people to take it apart and put it back together again because it is awkward. there are videos on Youtube that show how one is assembled.